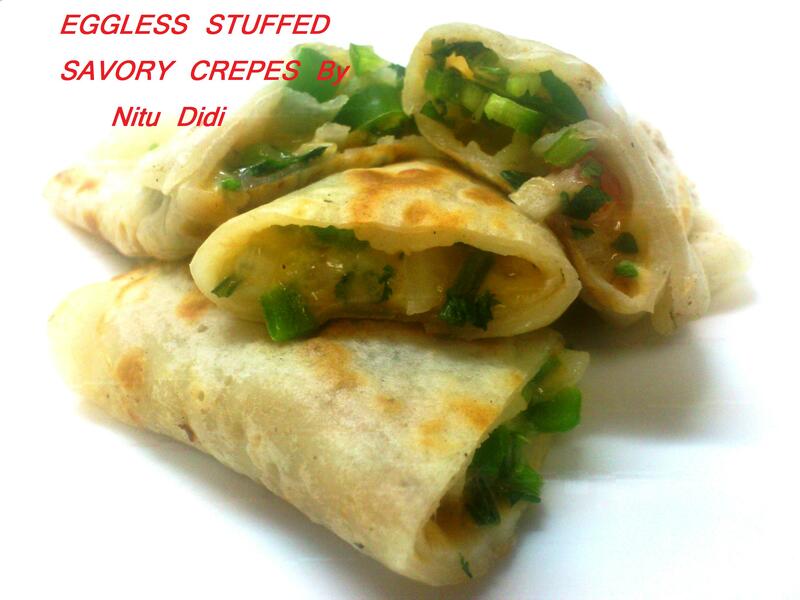 These crepes are soo light and delicous and imagine eggless! They can be made sweet or savoury and filled with whatever filling you like…right from left over cooked veggies, or fish or meat…to just some cheese… anything and everything goes with these lovely crepes. You can also make the batter with eggs but as you all know i do have a soft corner for my vegetarian followers!! Soo here is the simple recipe and maybe in the future i shall make a video out of this if i have enough requests!!! Mix the flour wqith the baking powder and seasoning and add the oil and enough milk or water to make a smooth and thin batter. Add the baking powder and let the batter rest for 2 hours. The consistency of the batter may vary… it can be a little thick to thin..a thicker batter yields thick crepes and a thinner one thin crepes. Heat an iron skillet or a non stick frying pan or a crepe pan with a little oil or butter. Add a big serving spoon of the batter and with the back of the spoon spread it into a perfect round. Cook it on one side and flip and cook it over the other. Fill with filling of your choice. i used grated cheese, finely chopped onion, tomato, fresh coriander leaves and green chillies . I mixed it all together and filled a crepe with a bit of this filling.. i folded it over while in the pan and then i cooked it a bit more till the cheese melted. 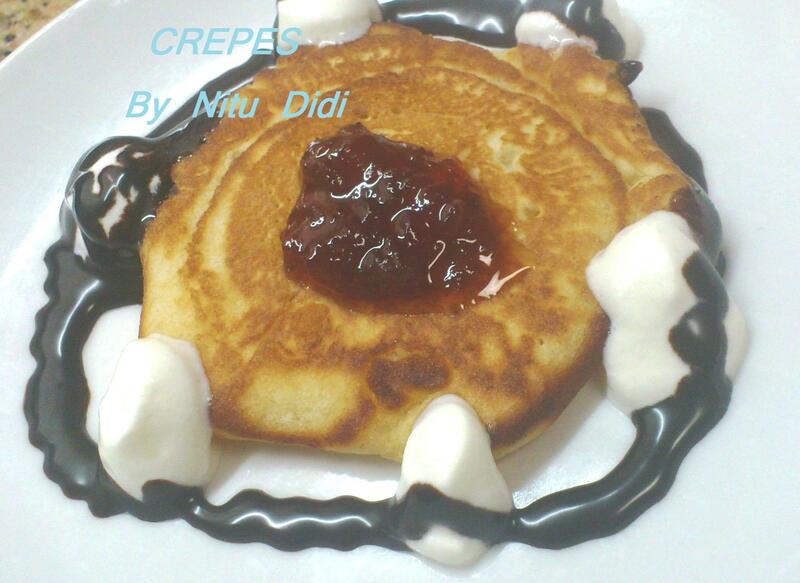 This entry was posted in Crepes, Floury Matter and tagged cheese crepes, crepes, eggless crepes. Bookmark the permalink. thank you dear, did you try it?